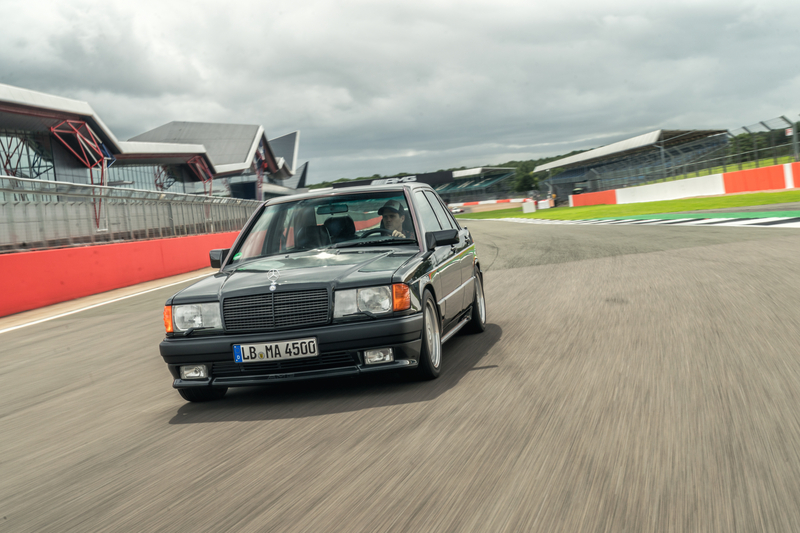 It is not every day that someone hands you the keys to a beautifully unmolested Mercedes-Benz 190 E 3.2 AMG and points towards the Grand Prix circuit at Silverstone. But 50 years of AMG is no everyday occurrence and clearly the PR budget at Mercedes-Benz UK is healthy enough to cover an insurance package that could otherwise buy a couple of superyachts. Regardless, Flat-Out found itself in the situation recently (frantically pinching ourselves, of course), as the German marque brought along its current line-up of AMG products, as well as some historical wonders in which a select few could get up close and personal with, to celebrate this momentous occasion. 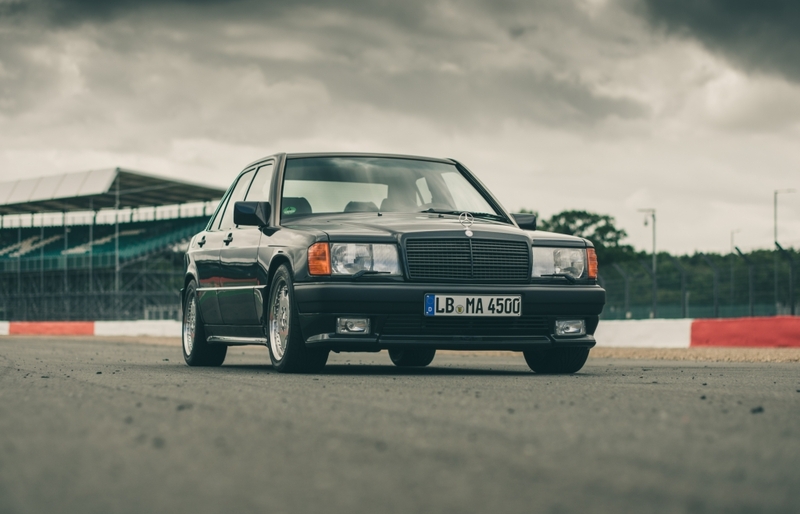 For us, the Mercedes-Benz 190 E 3.2 AMG – otherwise known as the Baby Hammer – is the embodiment of 1980s Mercedes sports saloons. If the monstrous 380hp 6.0-litre V8-powered W124 ‘Hammer’ is the Arnold Schwarzenegger of the automotive world, this 3.2-litre 234hp straight-six is the Jean Claude Van Damme. Lighter, more flexible and slightly more affordable (sorry JCVD), it could still manage a top speed of 152mph and smash the 0-62mph sprint in 7.7 seconds… in 1987. As well as offer the luxury surrounds of an 80s compact sports saloon. 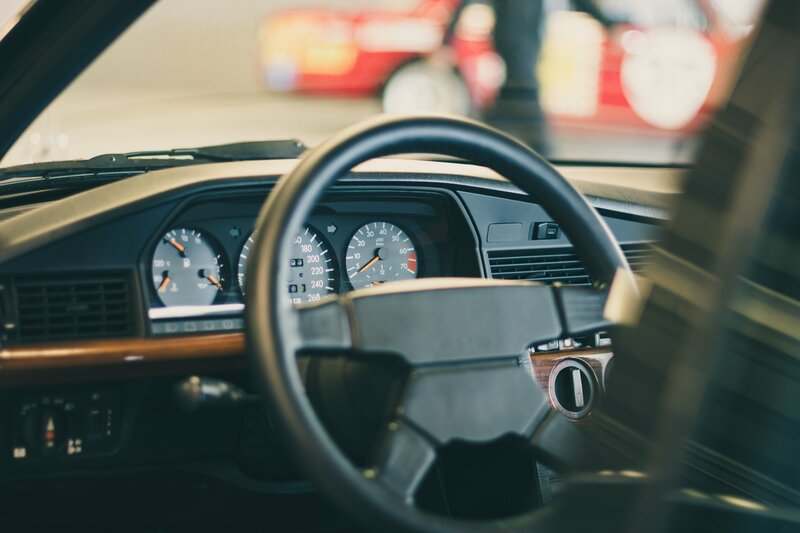 Step inside and the first thing to hit you is the smell – the glorious aroma of leather seats, wooden dash inserts and years of testosterone-fuelled trips along the autobahn. 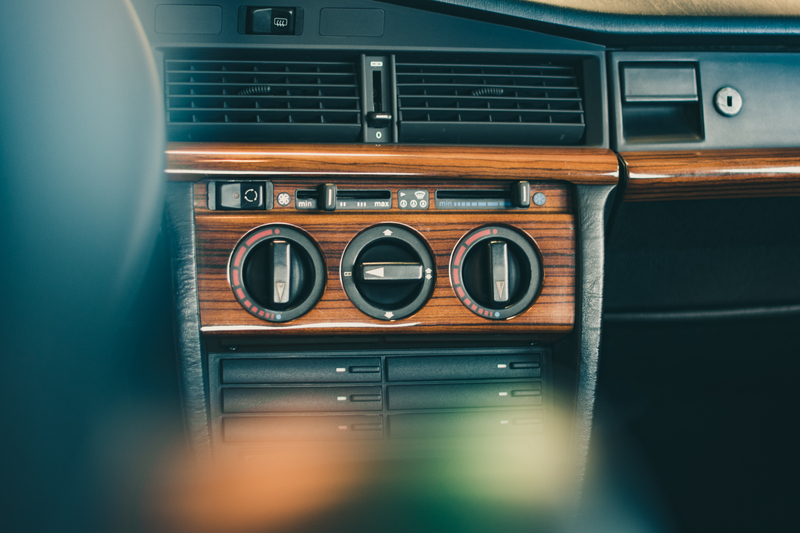 It is surprisingly comfortable behind the wheel, with the sumptuous leather seats offering plenty of support, while it’s difficult not to be enamoured with the six cassette audio system found in this car. 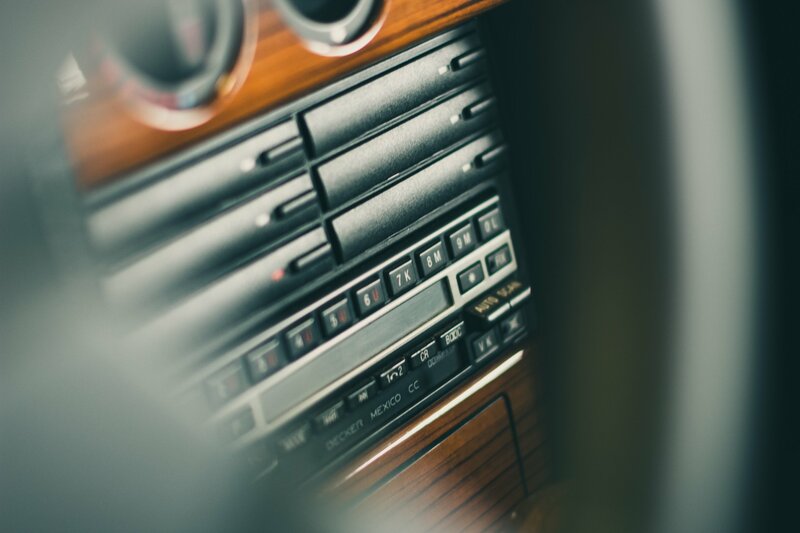 Each tape has its own tray, which gives the dash a brilliantly cluttered appearance that’s rarely seen on today’s modern, touch-screen machines. 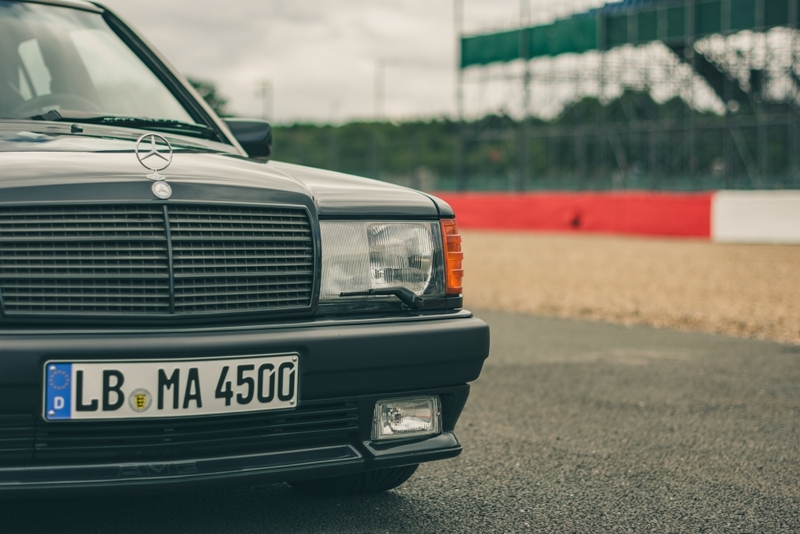 It’s overtly tactile, with dials and sliders to control the heating and cooling, toggle switches for adjusting mirrors and simple, AMG badged instrument binnacles that bestow a sense of analogue brilliance that is guaranteed to have hipster’s hearts racing. Naturally, Mercedes was keen to point out that it didn’t have any spare parts for these models, so suggested we approach the damp Silverstone circuit tentatively. Even with a light right foot, it was immediately apparent that the 3.2-litre straight-six still had plenty of pulling power left, emitting a sweet burble from the exhaust pipes. 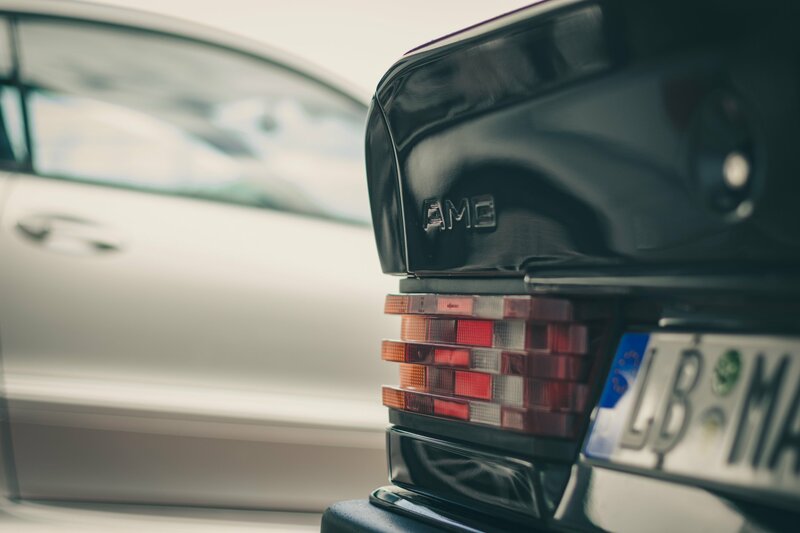 It’s amazing to think just how far AMG products have come in 20 years, because even with its uprated brakes, AMG sports chassis and 16-inch AMG light-alloy wheels, the Baby Hammer feels heavy, ponderous and a little bit dangerous. But does that stop us loving it? Quite the opposite. 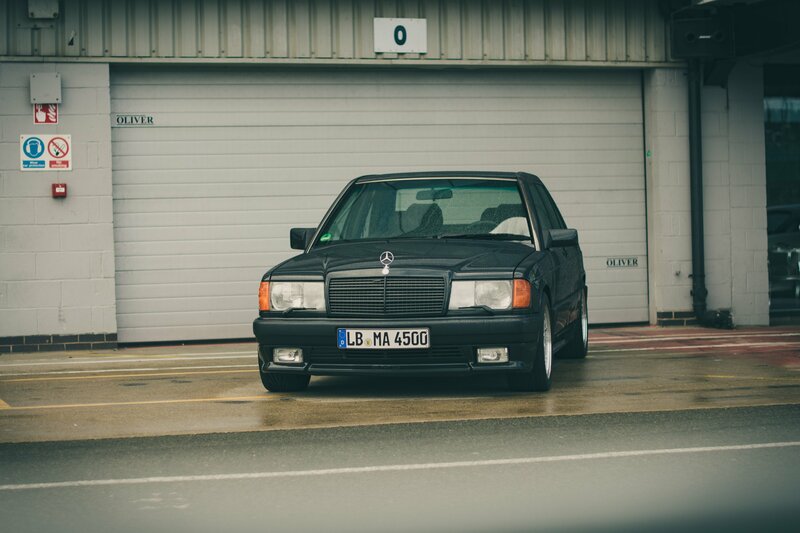 We immediately raced home and started Googling ‘Mercedes-Benz 190 E Sportline’, purely for the aesthetics alone. 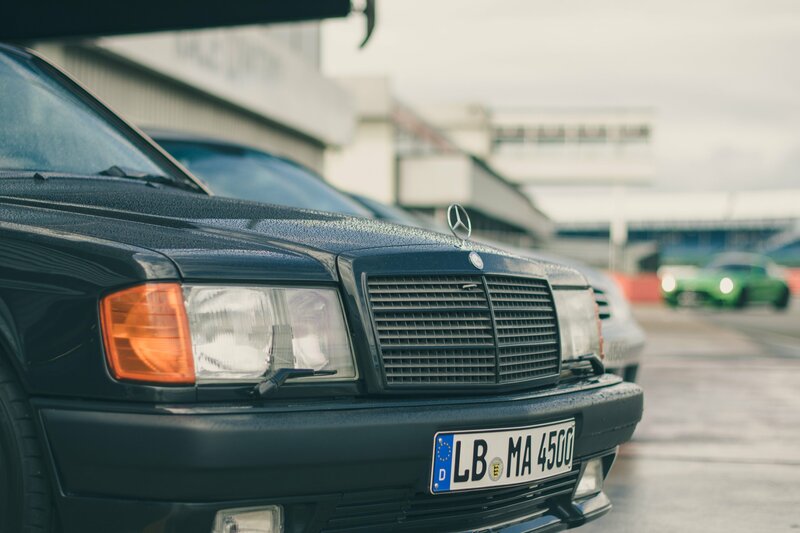 With today’s drive towards lower emissions, autonomous mobility and the latest infotainment technology, cars like the 190 E AMG are becoming increasingly more poignant. A throwback to an age of excess that we are glad to have experienced. 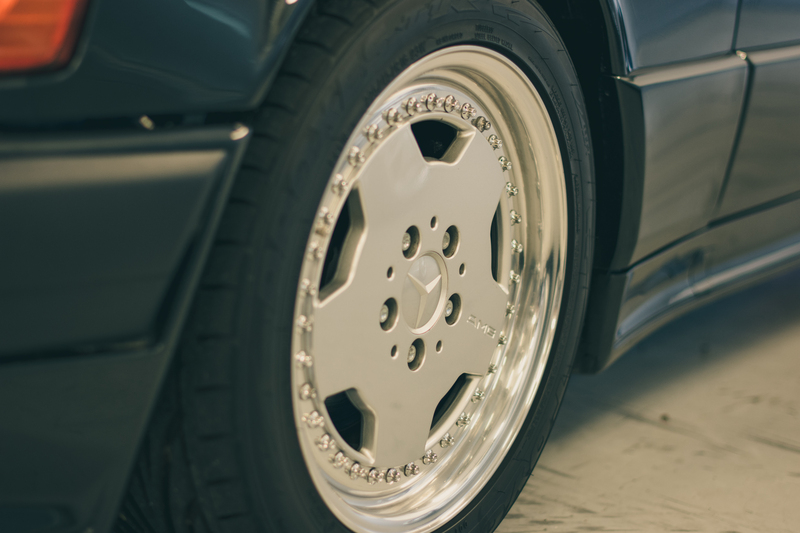 Itching for more classic Benz action? Take a look at our photographic journey through the Mercedes-Benz Museum.